The first book in a new series of magical adventures where children are chosen as Keepers of arcane magical objects, only to discover themselves in danger from the monstrous Makers of those objects who want their creations back at any price. This book takes a welcome step away from the "magical school" plot that has been holding sway over kids magical books for some time. 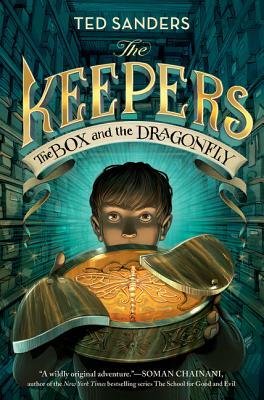 The Keepers have the support of one another, the magical powers of their objects and some rather haphazard advice from a few magical adults. Meanwhile they are responsible not only for protecting themselves, but also their families, even though some of those families are less than perfect. I loved how the fantasy and the very real life situations stand side by side in this book.